Clean and well maintained.submitted by Kyle Z. - Mar 01, 2019 |Recommended: YesThe complex is kept up nicely with no major problems. response from property - Hi Nia- Thank you so much for the great review!! We are so happy you love your home at The Highlands!! response from property - Hi Taylor! Thank you so much for the great review! We are happy to hear that you love the community events and our new fitness center! I think overall this complex is a great first place to live as a young adult and offers evrything I was looking for.submitted by Mackenzie W. - Aug 01, 2018 |Recommended: YesLiving in this community is very convenient and a wonderful community to be a part of. Although sometimes parking is limited, it is very accommodating otherwise for being such a large complex. I have and will continue to recommend this area to friends. response from property - Hi Mackenzie! Thank you so much for the great review! We are so glad you chose The Highlands for your first apartment! Thank you for recommending us to your friends! Our Resident Referrals are an easy way to make extra money!! I love itsubmitted by Lesley P. - Jul 30, 2018 |Recommended: YesIt's a lovely place to live Everyone's nice and welcoming. response from property - Hi Lesley! Thank you so much for the great review! We are so happy you love living at The Highlands! Clean, Quiet, and Home-like feelingsubmitted by Samuel E. - Jul 08, 2018 |Recommended: YesThe apartments are nice and are reasonably priced. The location is good for work in the City with quick access to I-35. The grounds are well kept and parking is abundant. The public spaces, including pool and gym, and very nice and a big sell for the complex. response from property - Hi Samuel- Thank you so much for the 5 star review! We are so happy you love it at The Highlands! Fantastic, if I could just park...submitted by Jacob P. - Jul 05, 2018 |Recommended: YesApartments are in great maintenance, and they look nice. Neighbors are relatively quiet, so there's no problem there, but parking is an issue, depending on where you live in the complex. response from property - Hi Jacob! Thank you so much for 4 stars!! We are happy you think The Highlands is fantastic! Pattisubmitted by Patti S. - Jul 03, 2018 |Recommended: YesGreat apartment, the grounds are great. Everyone in the office are wonderful especially Gabby. response from property - Hi Patti- Thank you for the 5 star review! We are so happy you love The Highlands! Gabby definitely adds a little sunshine to our day so I'm glad she brightens yours!! Great place to livesubmitted by Timothy D. - Jun 21, 2018 |Recommended: YesIt has been a very great place to live for the past year. response from property - Thank you for the 5 star review! response from property - Hi Meghan- Thank you for the great review! Happy New Year! response from property - Hi Charles! Thank you for the great review! We are so happy you enjoy living at The Highlands! Highlands South is Absolutely Lovelysubmitted by Brittney W. - Dec 06, 2017 |Recommended: YesThe Highlands South is a beautiful place to live. Not only are the grounds well kept fresh cut grass, trimmed bushes, seasonal floral swap outs, smooth pavement, etc. , but each unit is kept in great condition thanks to the amazing service maintenance staff. Fixtures inside our unit are high quality and function like new. Any changes or actions going on within the property are communicated in a timely fashion by the Highlands staff and that is a huge breath of fresh air compared to other properties in the Kansas City Metro area. We've only had a few questions in the 5 months we've lived here, but each time we were greeted with a smile and knowledgeable answers from the Highlands office staff. We love the spacious layout of our apartment and family and friends agree each time they visit. Having an assigned carport spot included in monthly cost is a benefit that can't be beat. The convenience of coming home late from work to a guaranteed parking spot is incredibly valuable. Not only is the property fantastic, but the people are too Everyone we have encountered in the community has been kind and quick to say, Hello if crossing your path. Our neighbors are very nice without being intrusive, and the noise level of the community is wonderful. 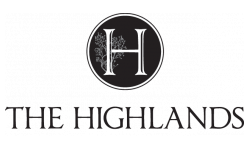 I would highly recommend the Highlands South to anyone searching for a high quality place to live that includes great people and a peaceful environment. response from property - Hi Brittney- Thank you for taking the time to post a review. We are so excited that you love your home here at The Highlands! Great Apartmentsubmitted by Chelsey A. - Aug 09, 2017 |Recommended: YesI have really enjoyed my time living in the Highlands Apartments. We have always had good experiences with the maintenance requests we have put in to be fixed, the grounds are always taken care of very well, parking lots are usually well lit, and the staff working in the office is always willing to help out and work with me.